Chifly.com Blog - Chicago Fly Fishing Outfitters: A New DVD about the "Driftless Trout Streams" and MORE! A New DVD about the "Driftless Trout Streams" and MORE! 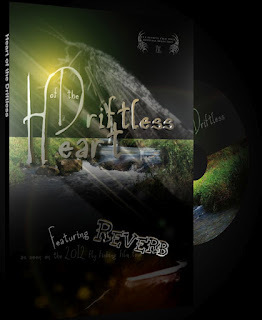 Last night I watched "Heart of the Driftless" a new DVD put out by Robert Thompson. the beauty and magic of the creeks we love in SW Wisconsin. I am glad that we never attempted anything because Robert is a a professional, and a master of his craft. The visuals that he captures do this gem of a fishery justice and are worth the price of admission! Keeping in mind there are no towering peaks nor "roaring rivers" in SW Wisconsin that easily fill a screen and lend instant drama, Robert's camera work and eye for the sublime allow him to capture what it is that makes this place to darn special - the intimacy of small creeks, surrounded by lush farmland in the middle of "farm country USA" and the unmistakable "subtle perfection" of this trout mecca. INCREDIBLE CAMERA WORK!! It was also great to see long time guide Bob Bluemrich profiled doing what Bob loves doing above all else - fishing small creeks. Kudos for showing how Matt Wagner carved out a niche for himself and his Viroqua Fly Shop the "Driftless Angler" and did a great job showing off Matt's appreciation of the area he now calls home. It was great to hear a gent from the UP of Michigan rave about the fishery, and echo what we have heard for years "I just couldn't believe what a great fishery exists here" or something to that effect. Lots of interesting personalities get profiled along the way. Lots of beautiful scenery shown, and yes, there is a bunch of fishing shown as well. There are two more "movies" included as bonuses. These guys are all older - like me (think 40 and +) - and really make the unlikeliest cast for a film loosely held together by fly fishing. Lots of band/show scenes, interviews at bars with constant Marlboro Gold shots, and clips of grittier Chicago - juxtaposed with small streams and pastoral SW Wisconsin - pretty cool. That's why I really liked this. It's not a movie about fly fishing - but as retrospective of some interesting guys that have had interesting lives and fly fishing is the metaphor that they (and a bunch of us) use to find their peace, their zen or whatever the popular name for it is now.... We have met most of these guys that are featured in this piece at the shop - and after watching this - I would actually dig fishing with them - and will catch their next gig at Liar's Club tonight! There is another DVD coming out by September 2012 regarding SW Wisconsin. It will profile over 50 streams. You can look it up on coppersmithstudios.com. It is supposedly the first in a series of 6 DVDs showing the best trout streams of Wisconsin.